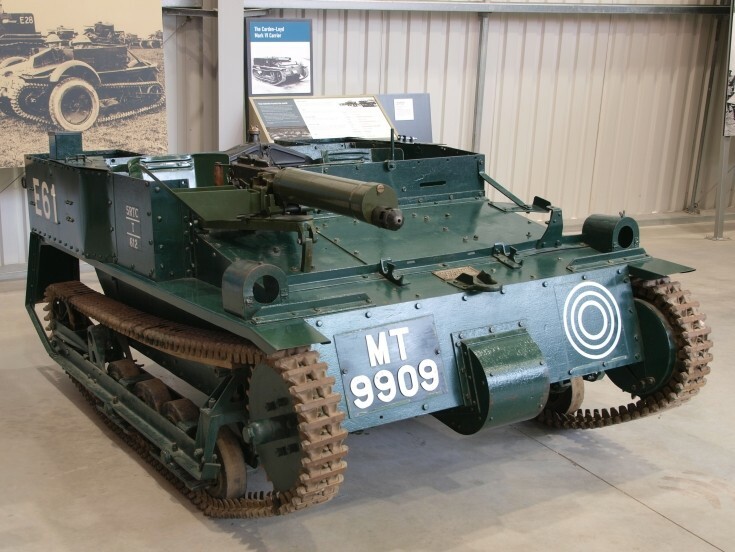 The Carden Loyd tankettes were a series of British pre-World War II tankettes, the most successful of which was the Mark VI, the only version built in significant numbers. The Carden-Loyd Mark VI tankette was a small two-man machine gun carrier. It weighed less than two tons, and was designed primarily to be used for reconnaissance. Variants included a mortar carrier and a smoke projector. It became a classic tankette design worldwide, was license-built by several countries and became the basis of several designs produced in several different countries.